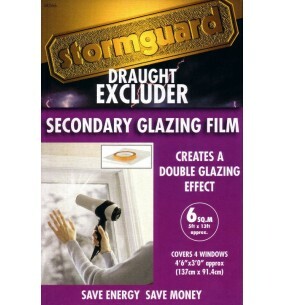 Simply apply the special tape (supplied) around the window(s) to be glazed and press the clear film onto it. Using an ordinary domestic hairdryer, warm the film all over and, like magic, wrinkles and creases disappear. Trim off the surplus film around the edges with a sharp knife. 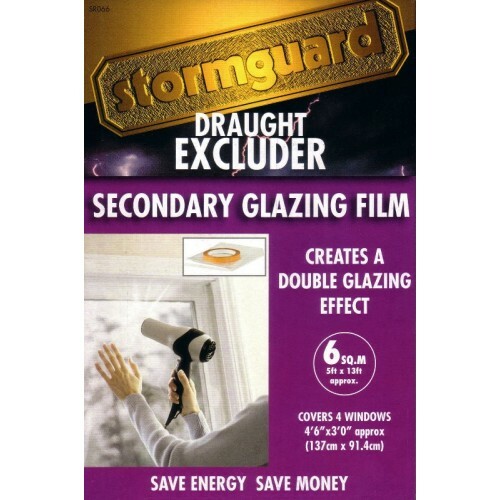 Will seal your window(s) for the winter season, saving money on heating bills and leaving your window area free from draughts. 6 Sqm - Approx 4'11" x 13' 0"
Larger sizes are available please enquire.